Chesapeake Technology: Fugro: Next Level of Autonomy and Sonardyne. 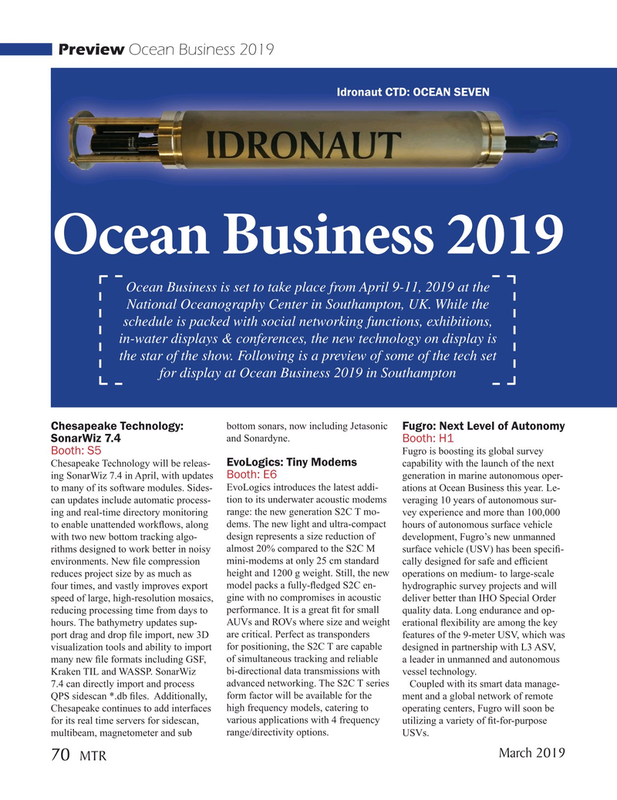 Chesapeake continues to add interfaces high frequency models, catering to operating centers, Fugro will soon be for its real time servers for sidescan, various applications with 4 frequency utilizing a variety of ? t-for-purpose multibeam, magnetometer and sub range/directivity options. USVs.